Group of 3 women. 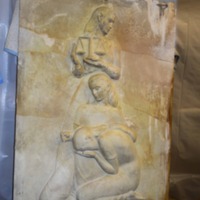 The background figure stands with a scale while the middle figure, on her knees, consoles the frontmost figure who is hunched over and crying. 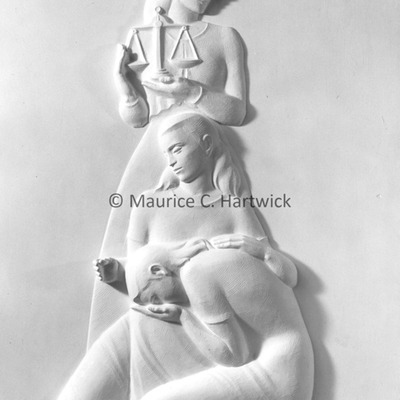 Plaster model for "Justice is Served While Employing Compassion and Kindness"
Plaster model part of the "Family and Justice Reliefs," five scenes in fourteen courtrooms, City-County Building (now the Coleman A. Young Municipal Center), Detroit.